My therapist suggested I do DBT. Does that mean I have Borderline Personality Disorder (BPD)? short-term relief but long-term suffering. DBT can help anyone who struggles with handling their emotions. a dialectical perspective opposites are a jumping off point for reaching a more realistic view, a closer approximation of “truth,” but one that’s always open to question. What does DBT treatment entail? helpful to supplement the DBT group with individual therapy as well. 1) Mindfulness: Cultivating awareness of thoughts, emotions, and present-moment experiences. In this module, we discuss how to take hold of your thoughts and attention. 2) Interpersonal Effectiveness: Exploring ways to balance your needs with the needs of your relationships. 3) Emotion Regulation: Understanding what emotions are and how to explore and express them. 4) Distress Tolerance: Learning ways to tolerate distressing emotions when you can’t change or eliminate them. Increasing skills to cope with urges to engage in destructive behaviors are discussed as well. work. Your individual therapist doesn’t have to be an Awakening Center therapist. An intake session with the DBT Skills group leader is also required. In that meeting, you’ll hear more about what DBT is and decide together whether it might be beneficial for you. If so, you’ll make a formal commitment to being a DBT group member. If you’ve determined that you don’t like therapy groups based on past experience, you might be surprised at how different a DBT group is. Unlike traditional “process” groups, DBT groups are more structured, and feedback among members is expected to be supportive. Skills learning is at the center of the groups and it may often feel more like an interesting class than a traditional therapy group. While being in a group is the best way to learn DBT skills, in certain circumstances, individual skills coaching is available at the Awakening Center. Particularly if there is some reason it’s impossible to attend a skills training group. What about the group members? How many are there? What kinds of problem behaviors do they engage in? The groups are small -- typically from 4 to 7 members. 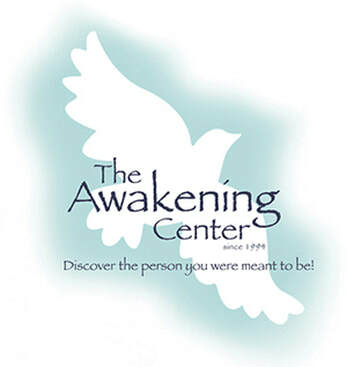 Most participants at The Awakening Center’s group are in recovery from an eating disorder. But members may also struggle with self-harm behaviors, alcohol/drug use, anxiety, and relationship challenges. I’m embarrassed about my target behaviors. What if no one else has the same target behaviors that I do? What if other group members can’t relate? Many people experience embarrassment around their problem behaviors. It takes courage to seek treatment. One of the guidelines of DBT group is that the members accept rather than judge each other. It’s likely there will be another group member who engages in similar behaviors. If not, remember that everyone in the group shares the same basic difficulty in managing their emotions. All group members can relate to that. DBT also focuses on what goes well—the group does not spend a lot of time dwelling on problem behaviors and instead shifts the focus to successes and self-compassion. How much does it cost? Can I use my insurance? The fee for the DBT group is $25 each week. There are a limited number of reduced-fee slots available. Many insurance carriers will cover group therapy, but keep in mind that they often require a copay. Check with your specific carrier and feel free to talk with the group leader about specifics. Best way to get started is to contact Nancy Hall, the group leader, by email: nancyhalltac@gmail.com. She will update you on space availability and schedule an intake session. If there is space in the group, new members are invited to join at the beginning of a new module. What if I have to miss a skills training group? be aware that they will not pay for sessions you have missed.